With the upcoming release of the Hunger Games movie, everyone is looking for Hunger Games shirts. We’ve put together a list of some of our favorites. 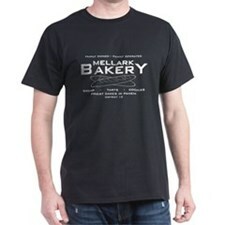 Cafe Press has a great selection of shirts (and other Hunger Games merchandise) that you can personalize. You can get many different styles and sizes of shirts and even add your own text to some of them. The last time I looked, they had over 30 different styles. Everything from “Team Peeta” and “Team Katniss” shirts to “District 13″ to images of the Mockingjay. Click to see all of the Hunger Games shirts on Cafepress. I expect that we will either see all of them pulled (for copyright reasons) or a lot more added as the movie gets closer. We’ll keep our eyes open for other shirts and add them here as we find them.